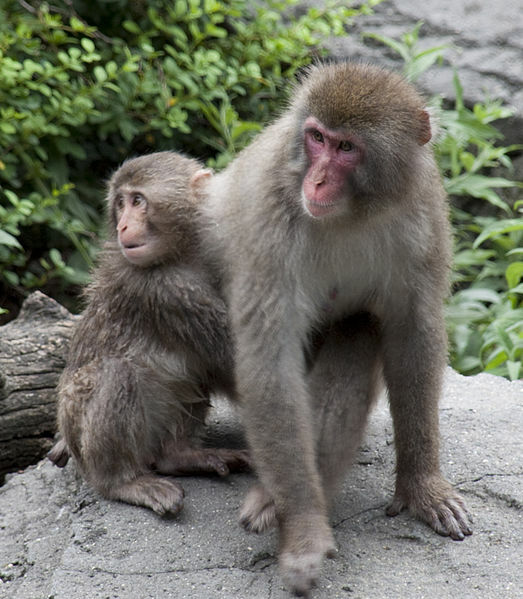 The Ikea Monkey Verdict: Do you “own” your exotic pet? 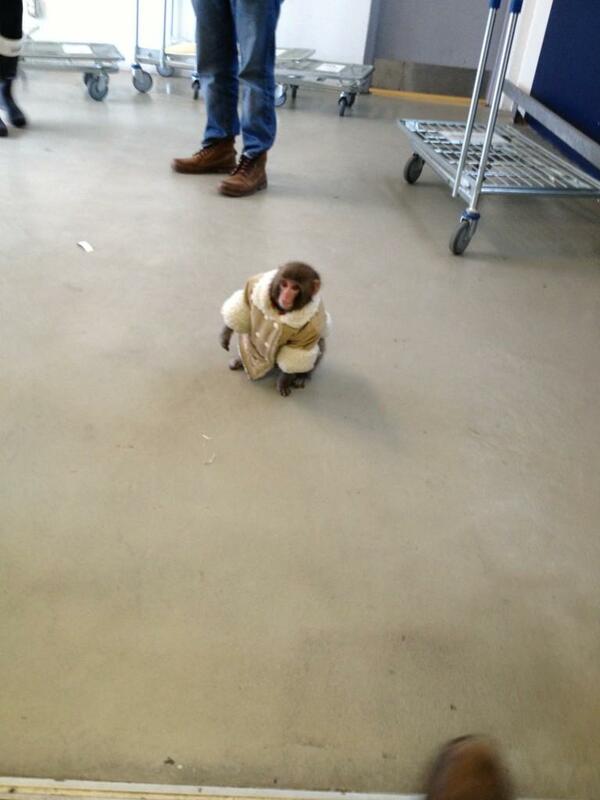 The verdict is in on Darwin, the Ikea Monkey. On Friday September 15, Ontario Superior Court Judge Mary Vallee delivered the verdict – the monkey will not be returned to his former owner, Yasmin Nakhuda, but will remain at Storybook Sanctuary. For those of you who missed the original tale, I blogged on it back in January here: A Monkey’s Better Everyday Life. 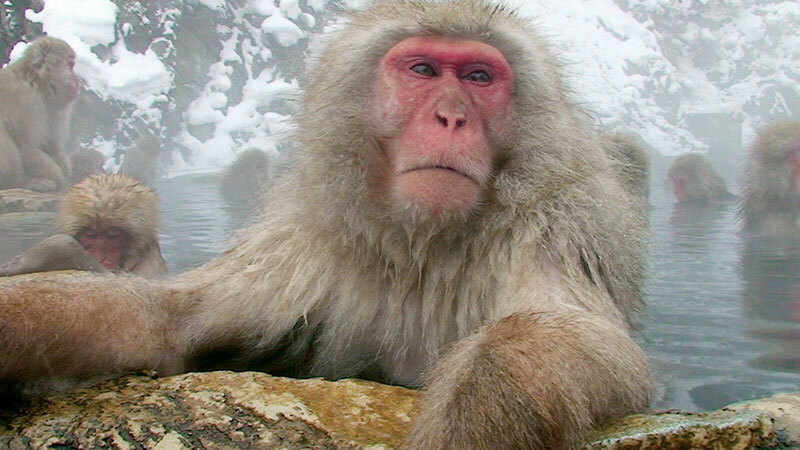 In short, On December 9th 2012, a 7 month old Japanese macaque named Darwin escaped the car where he had been waiting for his owner’s return from the Ikea store. He was captured by Toronto’s Animal Services and was delivered to Story Book Farm Primate Sanctuary in Sunderland, ON. A lawsuit ensued. The monkey’s owner, Yasmin Nakhuda, claimed the monkey had been taken from her illegally and she was demanding its return. The case has been in and out of the courts since. This verdict is great news to many of us. It’s wrong on many levels to keep these animals as pets. In a perfect world, Darwin would be returned to his wild family, but that’s impossible. The judge’s verdict provides the second-best option – putting Darwin in the hands of people who can provide him with some semblance of a monkey’s life. It’s not a flawless solution, but for Darwin, it certainly beats being raised like a human child. There’s some very interesting (and clear-headed) reasoning behind this verdict. First, Judge Vallee made it clear that this was not a case about the “best interest” of the monkey. Even though arguments flew over who could take better care of Darwin, this was not a custody case. “The monkey is not a child. Callous as it may seem, the monkey is a chattel, that is to say, a piece of property.” — from the judge’s decision. That much I figured. Custody isn’t awarded on dogs; it certainly wouldn’t be awarded on a monkey. I assumed that Darwin would be treated as chattel and the legal questions would surround who rightfully owns him. But it wasn’t quite that either. Some facts of the case: Nakhuda purchased Darwin. Toronto Animal Services confiscated him after his escape. Nakhuda signed papers surrendering her ownership of Darwin. Nakhuda (an attorney) argued that she was coerced into signing the papers and was upset and confused at the time. That seemed straightforward to me. Imagine if Darwin had been a golden retriever. He escapes his car, gets picked up by animal control, his owner is distraught and signs the wrong papers, and now the case is before the court. If his owner made a strong enough case, she’d get him back. But, it turns out, in biology and in Ontario law, there is a fundamental difference between a monkey and a golden retriever– that is domestication. Under the law, wildlife and domestic animals are treated differently. Domestic animals are property. If my cow walks into your yard, you have to give her back. But, if my pet deer escapes her enclosure, she is a wild animal, belonging to no one. You may capture and keep her or even shoot her during hunting season and I will have no recourse. Judge Vallee’s decision was based on a 1917 case, Campbell vs Hedley, the only one on record in Ontario that pertained to ownership of an escaped wild animal. In that case, a fox escaped from a commercial breeding facility and was later shot by a neighbor. The owner sued for the value of the pelt and lost the case because the animal was considered to be wild and thus, ownerless. In that same vein, the minute Darwin left the car, he was considered a wild animal. Interestingly, it seems from reading the decision, that if Nakhuda had been attempting to catch Darwin while he was loose, she might have had a case under the concept of “immediate pursuit” – the idea that if a wild animal escapes and you are chasing it, it is still considered to be yours. Is the monkey ferae naturae (a wild animal)? While outdated, I think those descriptions are good starting points. It would, however, be nice to see some science behind the definition of “domestic.” We know more today and a judge could be spared all kinds of extraneous testimony and effort if she could work from a list of accepted domestic animals or a scientifically accepted definition of the term. Agreed. If you can’t contain them, you lose them. Period. Does the doctrine of animus revertendi (whether the animal had the usual habit of returning home) apply? In Campbell, the court considered that if a wild animal had the habit of returning home, a person may have greater ownership interest if the animal escaped. Vallee acknowledged that Darwin’s parking lot escape did not give him that option. But Nakhuda’s desperate email to a monkey trainer tells a tale of an animal who “must be kept on a leash at all times..” Nakhuda then writes, “I cannot imagine him ever being without a leash.” However, Vallee, points out that since the animal has never previously escaped, it can’t be known if he would return home, so this issue could not be determined. Does the doctrine of immediate pursuit (of the animal by the owner) apply? This I mentioned earlier. If you are pursuing your escaped wild animal, you still retain some, if not all, ownership rights over it. More to the point, if someone takes the animal while you are in pursuit, it is considered theft. Nakhuda didn’t know the animal was loose until it was in the hands of Toronto Animal Services. She argued that because she called them immediately, she was in pursuit. However, because animal services took the monkey before Nakhuda knew it was loose, they did not “steal” it. Therefore, the doctrine was not applicable. Does an animal have to regain its natural liberty before it is considered a wild animal with the consequences that the owner loses possession? Nakhuda’s cousel referred to two American cases where animals escaped back into the wild (one an elk, the other a sea lion) and the courts in both cases found that the animals had regained their “natural liberty” and therefore status as wild animals. Darwin, of course, didn’t escape back into the wild and, as such, claimed Nakhuda’s lawyer, did not have wild animal status. In addition to pointing out that American law does not apply here, the judge also noted that monkeys are not native to Canada so cannot return to their natural habitat, thus, the requirement for natural liberty was not applicable. a) The monkey is a wild animal. The concept of habit of returning home and immediate pursuit do not apply. Ms. Nakhuda lost ownership of the monkey when she lost possession. b) Ms. Nakhuda understood that by signing the TAS form, she transferred ownership of the monkey to the City of Toronto. She was upset but not unduly influenced when she signed the form. There were other options available to her. She was not required to sign the form. c) TAS did not unlawfully detain the monkey. It was entitled to do so in tis discretion pursuant to the protective custody provisions bylaw. Concerns about illegally imported monkey disease were good reasons to detain the monkey. Darwin’s life won’t be perfect, but it will be better than it would have been under Nakhuda’s misguided mommying. In the end, it was fortunate that he escaped and equally fortunate that he was picked up by animal control. Under the laws and cases cited here, he could have easily been scooped up by some passerby who could have legally taken him home – after they returned his coat. NextFriday Fiction Facts:The Darkest Hour is .. Thanks Ontario Superior Court Judge Mary Vallee – law that makes sense! This is the clearest explanation I’ve seen on the legal implications of this case. Everyone else focuses on the “cute” monkey. Very well, um, even better extremely well done; an excellent blog. As usual.